These black pearls with multi color overtone are AA graded with very high luster and a few surface markings. 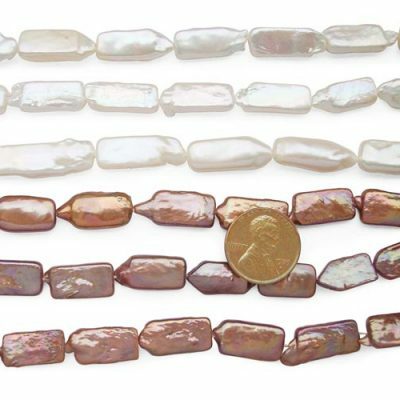 They are 15-16mm huge in size and there are approximately 24 pearls on a strand at 15.5″ long. 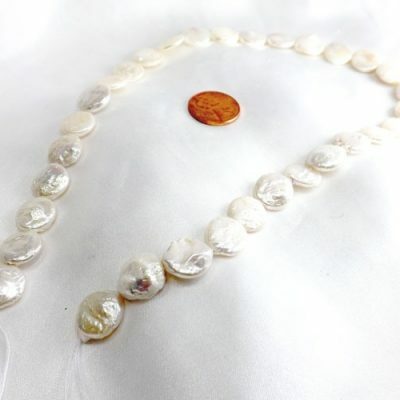 The necklace made with these huge sized flat coin pearls really make an impression. 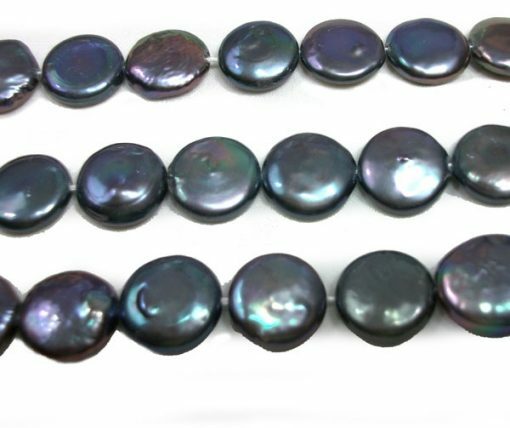 Only black colored coin pearls are available at this time. 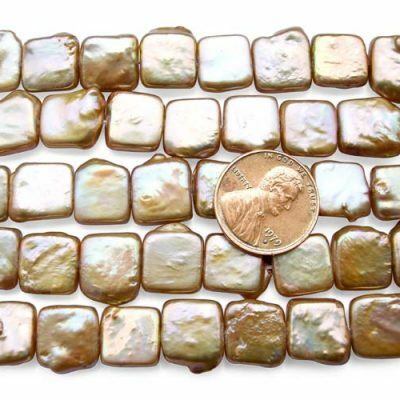 For a limited time, we are selling 16-17mm sized pearls at the same price.